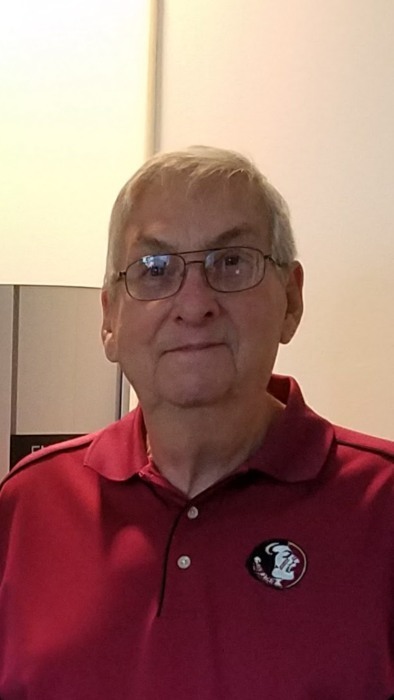 Albert Donald Shaw, 78 of Lake City, passed away on Wednesday, September 5, 2018 at the Malcolm Randall Veteran’s Affairs Medical Center in Gainesville. He was born in Cross City, Florida to the late Barney Shaw and Ethel Vivian Kelly Shaw. Mr. Shaw was a lifelong resident of Lake City and a member of the First Advent Christian Church of Lake City. He served our country and was a veteran of the United States Navy. Mr. Shaw worked for Powers Service, Rountree-Moore and the Sunbelt Group for over 50 years in Lake City. He then worked as a courier for S&S for 5 years. Mr. Shaw loved spending time with his grandchildren, watching FSU Football, fishing, cooking and watching the deer in his back yard. He was preceded in death by his wife of 47 years, Kay Shaw, in 2007. Survivors include his two daughters, Sandra Crawford (Tommy), Lake Butler and Stephanie Bundy (Harold), Lake City; three sisters, Jewell Geiger, Alice Shaw and Carolyn Olson; four grandchildren, Katie Hann (Matt), Lake Butler, Justin Crawford (Tiffany), St. Augustine, Caleb Bundy (Angelique Truett) and Shelby Bundy of Lake City; and three great grandchildren, Emily Hann, Evan Hann and Luke Crawford. Graveside funeral services will be conducted on Saturday, September 8, 2018 at 4:00 PM at Memorial Cemetery with Tommy Crawford officiating. Interment will follow with military honors. Visitation with the family will be from 2:00 PM till 3:30 PM prior to the service on Saturday at Gateway-Forest Lawn Funeral Home. In lieu of flowers memorial contributions may be made to the VA Hospital to help Veterans in need.